It turns out I have a few FireFall Closed beta key invites stored up. These are invites for the closed beta, not the stress tests. How can you get your hands on one? Just complete some of the Sites with Benefits Missions and buy a ticket. The raffle ends about 24 hours from the time of this post. Good luck! Contest is now over, check back for more soon! To get started, just sign-in using the widget on the right. Tweet Open Beta. Send out a tweet about the Sites with Benefits Open beta! Facebook Like. Like Sites with Benefits? Give it a Facebook Like. When 1.4.8 launches (Monday!) a new vendor will have taken up shop near the RvR Equipment vendors. His title is Novelty Vendor, but what he sells is anything but. 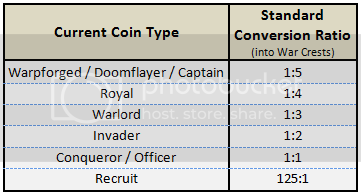 WAR 1.4.8 introduces a new single RvR currency, the War Crest. It can be spent on armors, weapons, and the goods this new vendor provides. 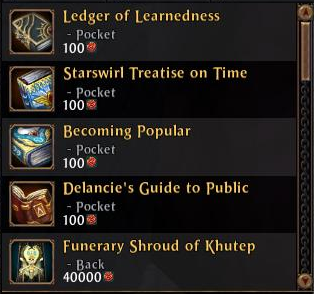 The pocket items have some interesting bonuses: 200% XP, turn off XP gain, 200% Renown gain, and 200% Influence gain. 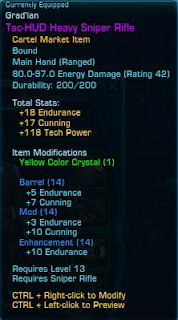 These items decay in 8 hours, except for the XP-Off item which does not decay. 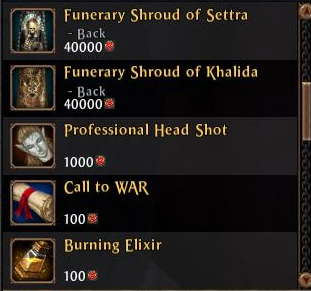 For 40,000 War Crests you can purchase a Funerary Shroud! There are 3, each which a different active affect. They all provide 3 talisman slots and +172 resists. They are the ultimate Back (unless you want to keep a set bonus going. 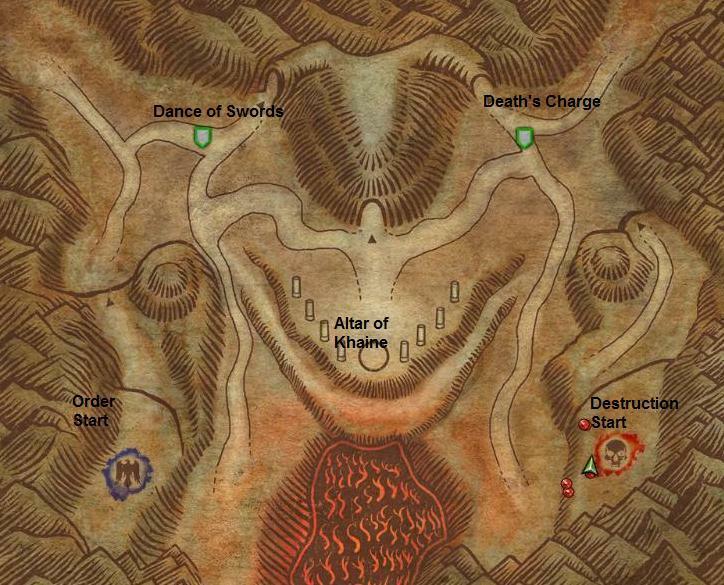 Previously, you could only obtain these in the Land of the Dead by opening spawns out in the world. 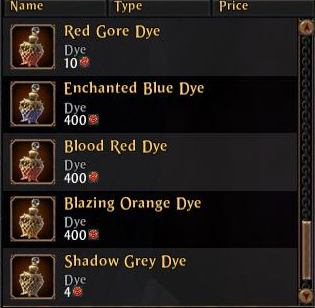 The other two types are shrouds are available as well. The Head Shot is a barber shop token. Call to WAR allows you to teleport back to the city and has 5 charges. And my favorite... the Burning Elixir! This turns you, temporarily into an Aspect of fire and much fun can be had. 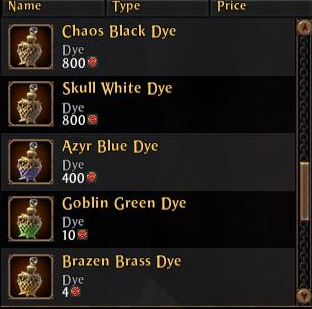 They have also added a number of dyes, including rare ones, to the new vendor. Overall, I really like the selection. 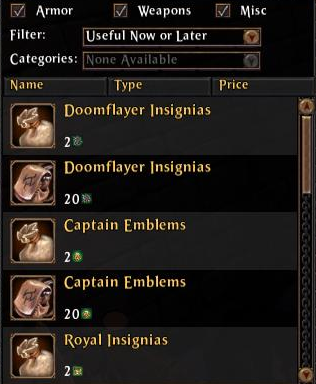 There will be plenty to spend your War Crests on, especially if you still need your armor and scenario weapons. The Novelty vendor is just icing on the cake. I'm happy to announce that one of my projects, Sites with Benefits, is ready for Open Beta. I've been using it on this blog for a while now and run several contests. It has worked out nicely. To help you get started with SwB, I made a video describing how to get the widget installed. Sites with Benefits is a widget that allows you to reward your readers for doing various activities on your site. There are currently 15 missions which include several kinds of social media sharing all the way to creating and submitting youtube videos. Missions. SwB currently supports the following missions: Follow Twitter Account, Send Tweet, Leave a Comment (Disqus), Visit a Link, Daily Visit, First Sign In, Create a Video, Submit a URL, Submit to Reddit, Facebook Like, Share Video, Share Link, Google Plus One, Do a Poll and Answer Trivia. Customize. You can pick the colors and icons (via url) that the widget will use. Points. 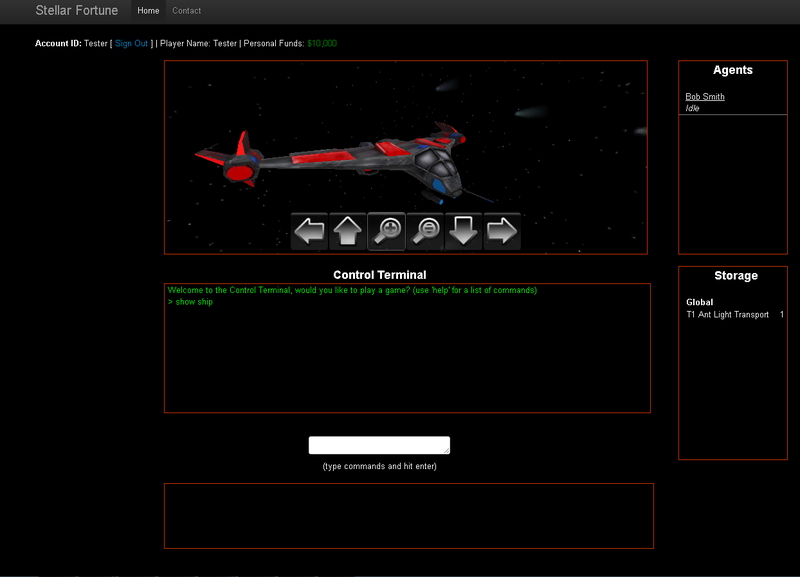 Completing the above Missions will give your users points which are for your site only. Rewards. SwB supports 3 types of rewards. Codes, Free-Form and Loot. Codes can be a list of one time use, or a single key which can be used a number of times. Free-form rewards allow you to cover any non-code kind of reward. 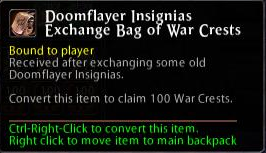 Loot, which is still a work in progress, allows you to grant users bonuses (like increased point gain). Rewards can be given out in two ways: direct and lottery (raffle). Direct means the user redeems points to get a code. Lottery allows them to redeem points for a chance at the prize. The winners will be automatically drawn and codes given out when the lottery expires. Easy Sign-In. Sites with benefits lets you login with the following accounts: Facebook, Twitter, Google, AOL, Disqus, and Yahoo. To get started, go to http://www.siteswithbenefits.com and sign-in. Click on the Publisher tab and create a site! Podd IC, of Global MMO, is holding a contest for Warhammer Online. 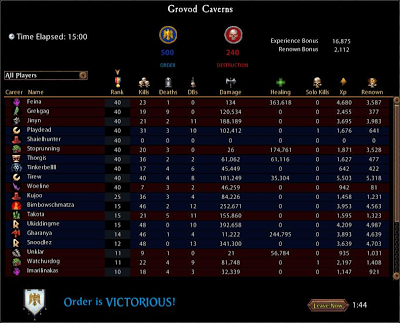 The winner gets a load of potions (see full list here) worth about 5,000 gold. All you have to do to enter is register for his website. 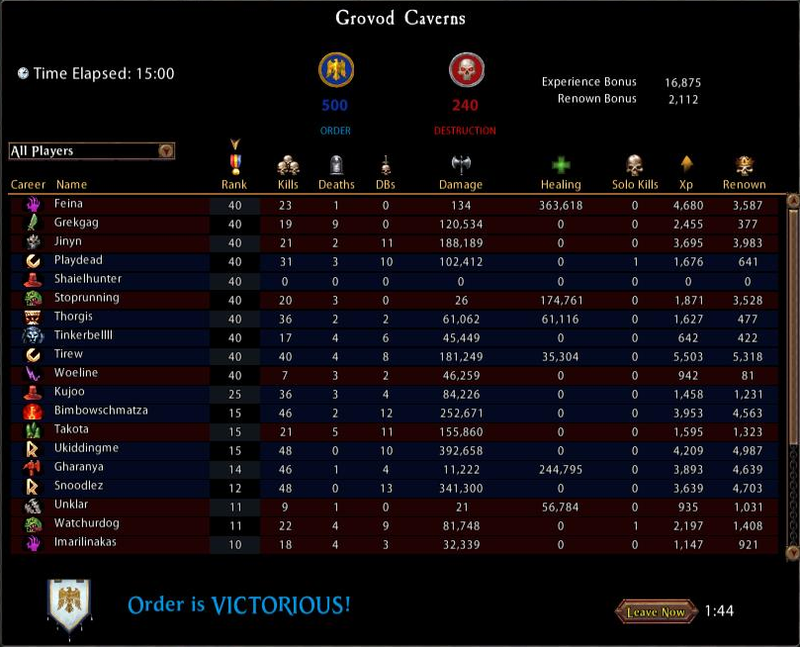 It should be noted that this is limited to players on Karak-Norn (Order). He also made a gold making guide and a PvP potion guide. Warhammer Online's 1.4.8 patch is nearing completion, so lead designer Keaven Freeman hit the forums with a detailed post about the upcoming patch. 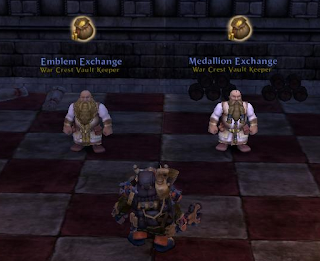 1.4.8 is mostly about consolidating all of the RvR currencies into a single one, the War Crest. We already knew that, but what we didn't know was several new drops were added for player kills. these contain larger numbers of War Crests than normal. 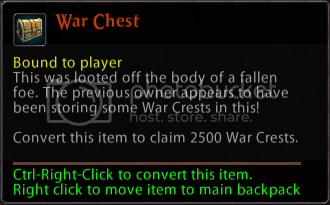 This includes the ultra-rare War Chest which gives 2,500 War Crests! To go along with the unified currency, to prevent cross-realm farming they will only drop in contested areas (includes scenarios, city etc). Gear Progression. The team has also added new gear for players who might still be progressing. A new arrival to the War Camps is the Griffon Supplier, and the Raven Host Supplier, for Order and Destruction respectively. These take the place of the old Quartermasters, and will assist newcomers by supplying them with “standard issue” gear when they first enter the area. This isn't exceptional gear, and may even be passed over depending on what uncommon and rare drops you've been able to acquire, but you never know. 1.4.8 will be hitting the PTS this week, and hopefully going live on November 28th! So I was doing some thinking today, where all my ideas happen, in the bathroom. I have a lot of game code from various projects laying around. Some of it Unity, some of it web based. Most of the web based code has led to working projects like Arsenal of WAR, Dev Spy and Sites with Benefits. The game side, not so much. Part of the reason is, of course, making games is hard work. Another reason is it can take a lot of work and time before what you made is actually usable. People using what I make is a big motivator for me. The web projects are often quick to get going and easy to build upon. So why can't I do this with games? So my idea was to try and take that approach with game development. Make a nugget of a game, get a few players and build the game as they play the game. 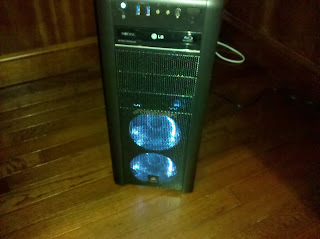 I'll ignore the technical challenge of database wipes and such for now. 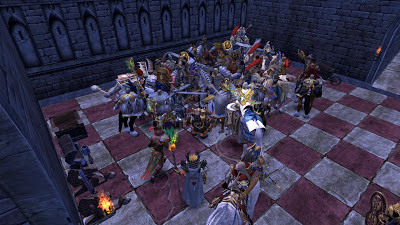 The direction of the game would be heavily influenced by the players playing it. In my example would be a space-based economic game. At it's core it would need: a Travel system and a Trading system. Now, I have both of those completed in several different projects. The idea behind the game would be basically the same. You're in a new age and stellar trading has just gotten started. 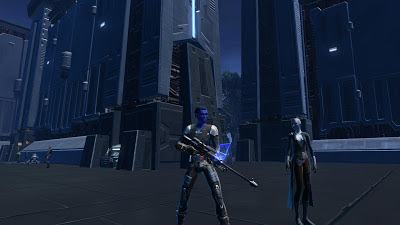 Do players want more to explore, build new ships, and so on? That is what would be added as they play the game. In an ideal world, it would all be laid out before the player. But much like the game itself, it would instead grow with the players. My initial thought is to make it web-based to start, but develop it in a way that Unity can be used as a front end (aha, all that Unity code could be used!). Web-based is very quick in comparison, and much better suited to displaying lots of information. Just an idea I had and wanted to get written down. We are entering the final week of the WAR Game Time Giveaway. 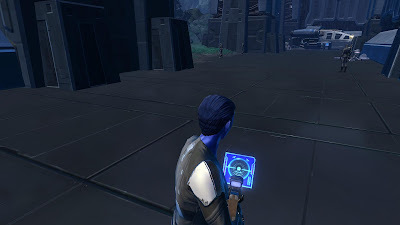 Up for grabs is a 60-Day WAR Time Card, Booster Pet codes and Specialized Training codes. The last one gives each character on your account a free XP level. Since this is the last week, I have added a couple of new missions. Most of them don't even require you to have a subscription going. To get started, just sign in to the widget on the right. Visit WAR on Reddit. Since the original Warhammer Online subreddit was never really used, I created a new one, go check it out! Like this Giveaway. Like the Giveaway, let it be known on Facebook! Name that Event. A trivia question! Get it right and receive enough points to get a lottery ticket. Easter Egg. There have been 2 more hints for the Easter Egg hunt, with another one coming on Tuesday. Have you figured it out yet? Just snap a screenshot of it and 150 points are yours. The giveaway will end on November 26th. The final hint has been posted! The Easter Egg hunt for the WAR Game Time Giveaway continues! Your mission is to witness this special event and snap a screenshot. Then, using the Sites with Benefits widget on the right, you submit the URL of the image. It'll get you an easy 150 points. Some things only happen at night. Reminder: There are plenty of missions you can do even if you are not subscribed to the game. 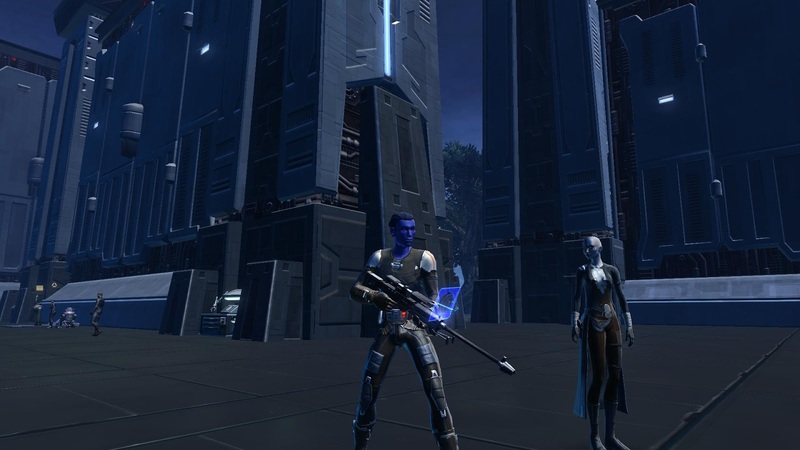 Today, SWTOR goes free to play (and 1.5 arrives). It will be interesting to see how many people jump back into the game and what will happen to the servers. I plan on keeping my subscription, so hopefully their priority queue stuff works out. I will be sitting on approximately 2600 Cartel Coins when the servers go up. I really have not given much thought on what to spend them on. You see, I am a bit of a hoarder when it comes to virtual items and currency. I'll drop two grand on a computer, but a few hundred tokens? I can't pull the trigger. The Cartel Packs ( Black Market and Crime Lord ) are one likely possibility, but just like any other form of gambling, I could be out of coins very quickly. Unlocking legacy perks is another option. The experience ones are tempting, as it would save me some credits. 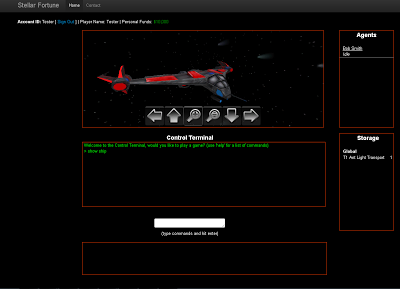 As is the ship board items like the GTN terminal. 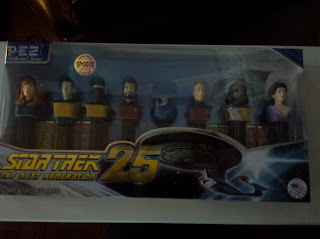 Although, I don't spend that much time on my ship. 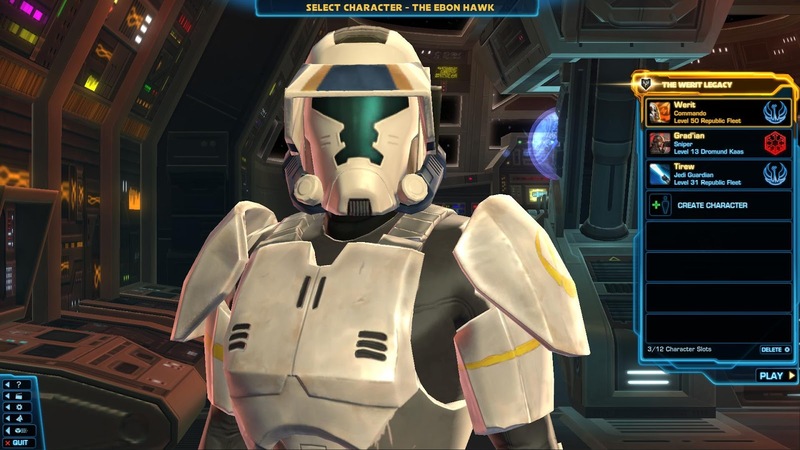 My Trooper is now level 48. I did not make my goal of 50, but I should be there within a weeks time. Then I can start my HK-51 quest line and possibly do a Story Mode Operation. After that, I could try and get my Valor (pvp up a bit, or just play on my alts.